Wedding by the sea : wedding in Italy feet in the water! Puglia is the ideal place for a wedding by the sea. Puglia is home to some of the most beautiful beaches in the world, with white sand beaches and crystal-clear waters. 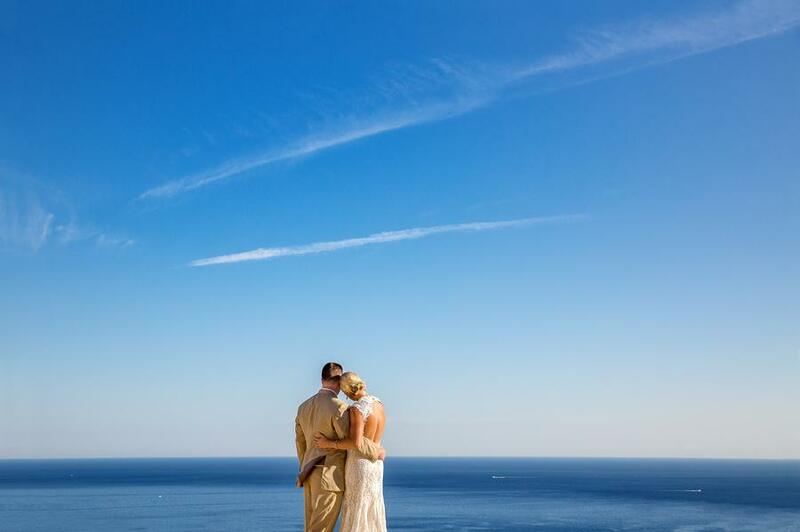 And for those who would like to contemplate the sea while organising an elegant wedding, our sea-view wedding venues will be the ideal answer. Some places on the west coast of Puglia simply look like they are meant to host civil wedding ceremonies by the sea. 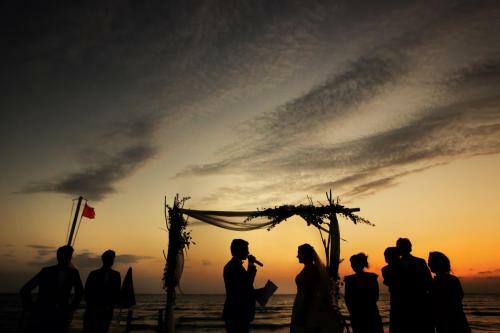 If you want a civil wedding in Italy, and not a symbolic wedding, an Italian townhall officer be able to officiate your wedding on the seafront. What's more beautiful than being able to enjoy a beautiful sunset with your other half on this special day? Nowadays, you can even organise the ceremony on site, so you can skip the administrative venue altogether! 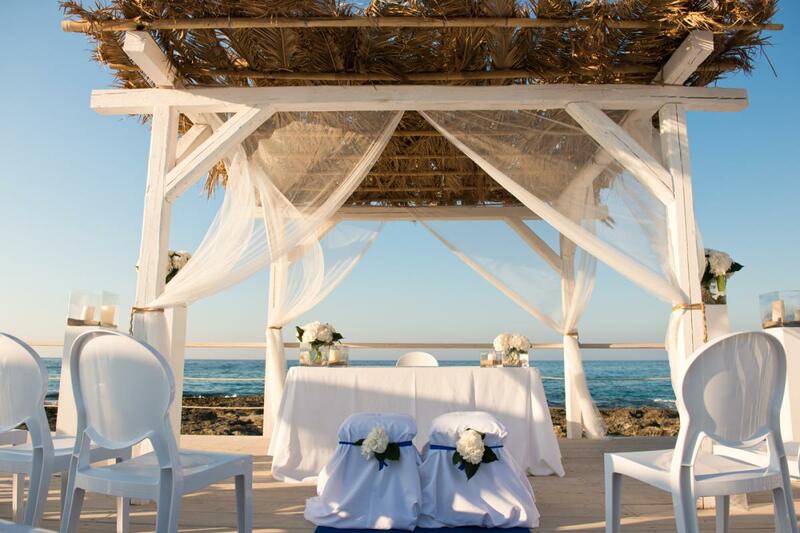 Whether it’s just the two of you or 200 guests, your wedding can be officiated in your dream venue. The closest place to the sea is the Lido, an option which will allow you to enjoy your wedding with your feet in the sand. Some are very simple, others much more sophisticated, to suit all tastes. 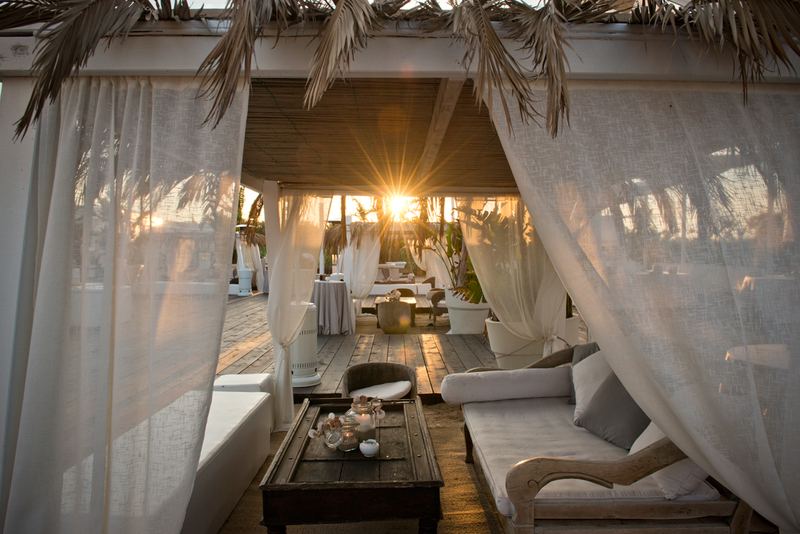 Our Italy-based wedding planning team has selected the most beautiful Lidi for your wedding in Italy. If instead, you want a splendid sea view but prefer to stay away from the sand, we can offer you many venues in Puglia. . Whether on a promontory overlooking the sea, or on a beautiful stretch of grass by the sea, the places we have selected will dazzle you. 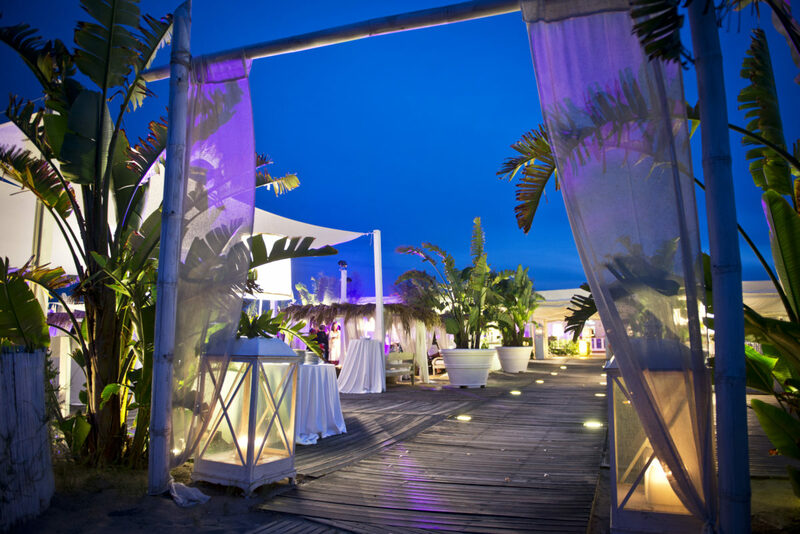 CHOOSE THE SEASIDE FOR THE RECEPTION OF YOUR WEDDING IN ITALY ! 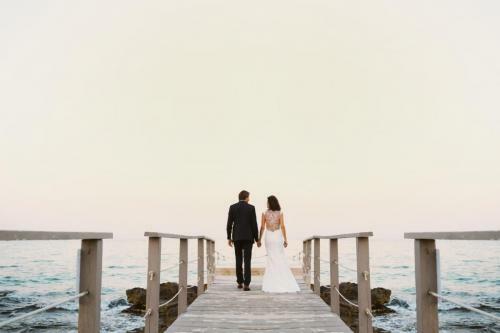 Are you torn between a place full of history like a Masseria or an Italian castle and a seaside wedding? Why choose? You can very well choose to keep the seaside for another wedding moment. Many brides and grooms choose to organise the wedding brunch of the next day, or the rehearsal dinner in a beautiful seaside establishment. 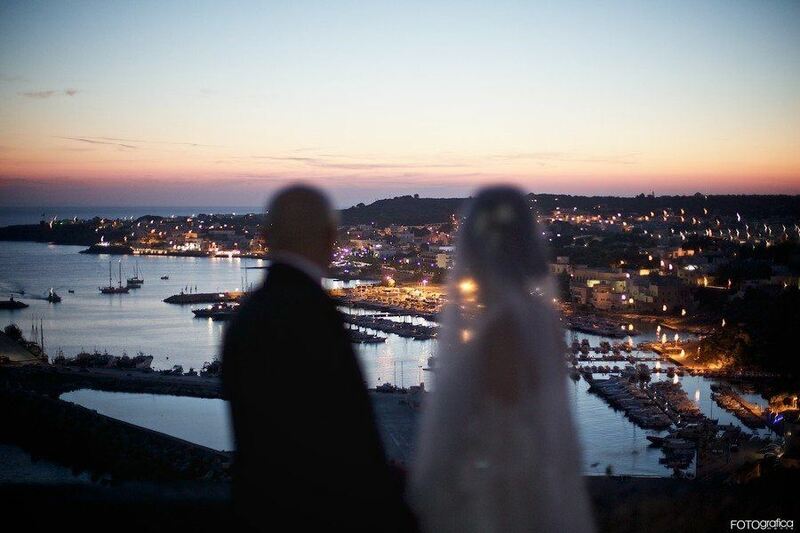 Weddings in Italy that Noces italiennes organises are tailor-made, allowing you to define the program of your wedding. Feel free to play with various locations! 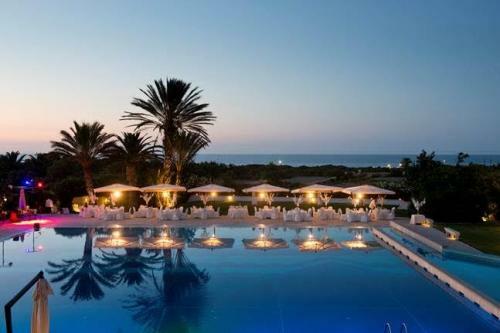 We will guide you in the organisation of every moment of your wedding in Italy. Together, we will be able to build a varied and unique program of festivities.